What drives people to commit murder? Love, hate, desperation, or even necessity can motivate this crime. In Dostoyevsky's Crime and Punishment, the motivation for the crime comes from a force more compelling than all of these, an idea. The character, Raskolnikov, decides to commit homicide to obtain money for his sister and prove his theories on life. 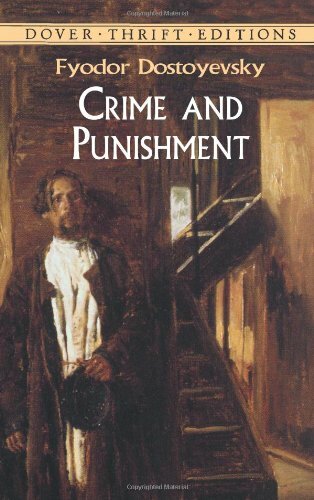 A deadly, psychological game of cat and mouse ensues between Raskolnikov and the authorities. Within this game, Raskolnikov’s guilty conscious may prove his greatest adversary. Shocking, thought-provoking, and surprisingly sentimental, this novel continues to have prominent influence on literary history.